Take advantage of our special online ticket deals. 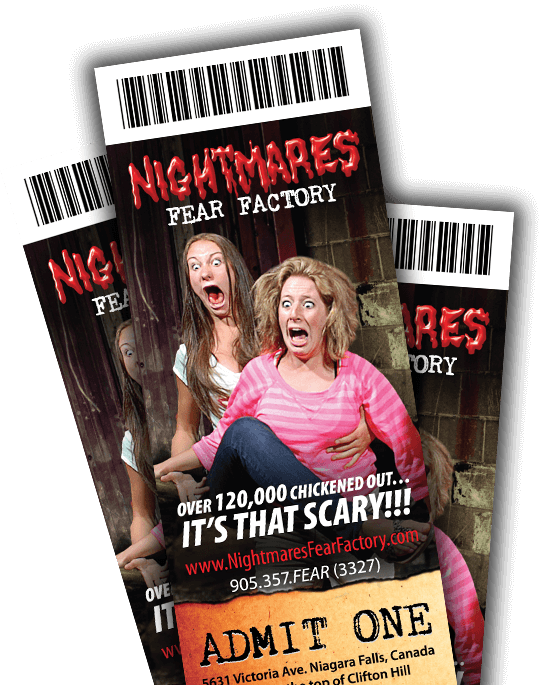 We offer great pricing on groups of 4 or 6, why not try out our Ultimate Combo Ticket that includes: Nightmares Fear Factory, Ripley's Believe it or Not, Tussauds Wax Museum and Ripley's Moving Theatre. Available for any group of 15 or more. View hilarious photos and videos of terrified visitors experiencing horror inside our haunted factory. 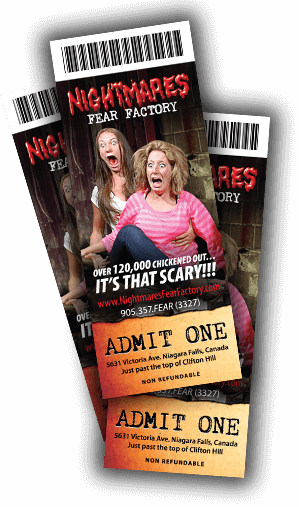 Do you wonder what happens inside Nightmares Fear Factory? Ever wonder what they see while inside? "I pretty much sh*t my pants , no big deal "
"it was absoloutley terrifying. " "Way scarier than Canada's Wonderland! - Anne N., Hamilton, ON "
"I can't wait to go back and visit the family just to do it again "
"...it'll make your heart beat so fast till it thunders out of your chest! " "So scary the whole way through my mom death griped me "
"Don't dare go alone, they're waiting for you...Good luck! " "Best Haunted House I've ever been to. " "A freakishly realistic and down right creepy surprise at EVERY corner! " "BEST haunted house we've ever been to! " "I went in expecting the same old garbage from every other haunted house. Instead I shat my pants. " "Just a small hint of advice: be ready to be scared out of your freaking mind! " "Don't think I would EVER do it again, but I really recommend it. It will literally scare the sh*t out of you!!!! " 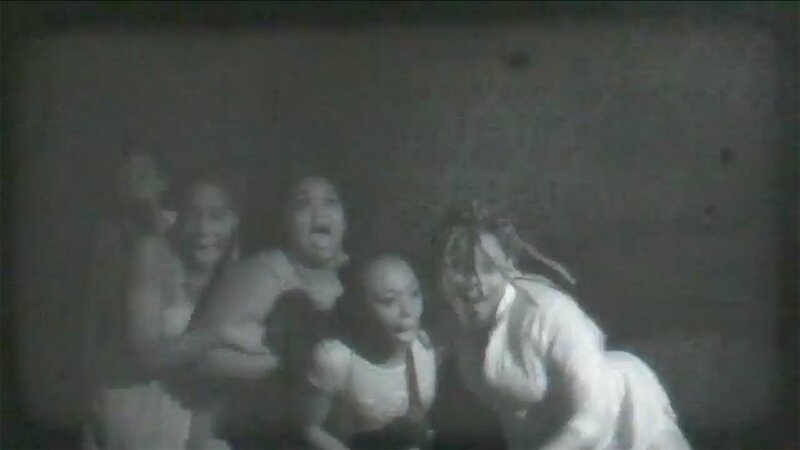 "This haunted house should become a movie or something. It was extremely scary! " "...it plays on your psyche and creates an atmosphere of absolute dread and suspense! " " The scariest haunted house i have been to. 3 words to describe it... OH MY GOD "
"Went with one other guy, almost had a freakin' heart attack!!! " "Truly SCARY... Truly Amazing... Totally awesome! " "WENT WITH THREE PEOPLE AND DANG THAT HAD TO BE THE MOST SCARIEST THING EVER! " "You have to be insane to go alone! "